In pretty much all my non-fiction work, I like to touch on the subject of the afterlife. Not in a morbid way. More of a ‘let’s think outside the box’ way. It’s a topic I prefer to engage with questions rather than statements. After all, no one really knows what happens after death. Some people will tell you they do, but they don’t. Not even a little. Heaven, hell, reincarnation, utter destruction…all perhaps possible, but none even a little bit objectively provable. The realm of the afterlife is just another part of the human experience in which beliefs, no matter how closely held to the heart, can’t hold up the truth. And the truth is: we don’t know a damn thing about it. Especially in this little book right here, I love to ask people to talk about their belief systems. ‘Is there an afterlife?’ I ask. ‘If so, what’s it probably like?’ ‘If there isn’t, is everything we do pointless?‘ The conversation usually goes one of two ways. People either cite religion, which I confess gets pretty boring, or they admit they don’t know, and that’s when things get interesting. In asking these questions and getting people’s answers, one can learn a ton about what makes humanity tick. Because the afterlife discussion is all hopes and fears. It’s unknowable. It’s raw. ‘What if it’s awesome?’ we wonder. ‘What if it doesn’t exist?‘ we worry. ‘Or what if it’s absolutely horrific?‘ we tremble. But after all the ‘I know’ or ‘I don’t knows,’ I like to take the conversation somewhere fun. I mean…since no one has a clue about the afterlife, why not enjoy the discussion? 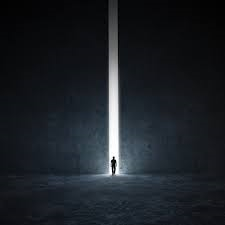 Now, perhaps through some crazy quantum mechanics, it’s possible in the afterlife (if there is one) we actually do get to decide what it’s like. Probably not, but you never know. I guess what I’m saying is…let’s run with that. Let’s embrace ‘I don’t know.’ Let’s forget about our preconceived notions. Let’s talk less about what we believe the afterlife is like, and let’s talk about what we want it to be like. I want to know your answers. You’re sitting before a blank sheet of paper. You’ve got a pen, and you’ve got all the time in the world. Your belief system, your religion (or lack thereof,) and your scientific knowledge have all fallen out the window. What do you want to happen after you die? Nothing? Just wanna nap forever? Do you want to be alone? Or can other people join your afterlife beach party? 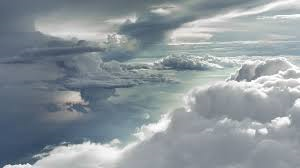 Want a heaven? Sitting on a cloud, eating chocolate, soaking up starlight for all eternity? A more specific heaven? As in, you’re some kind of spirit worshipping a deity in the ether? Cool. Tell us about this deity. How do you battle the boredom? If you want heaven, do you punish ‘bad’ people with some kind of hell? If so, what’s the hell like? Who exactly goes there? Go ahead. Set the rules. No heaven or hell? Ok. You’d prefer to join the world-building spirit army who runs the universe behind the curtain? You want to be part of the machine beneath it all? Cool. What’s your plan for the next 500,000,000 years or so? Or maybe reincarnation? You want another shot or ten at earthbound life? As an animal? A human again? Does this process repeat itself indefinitely? Or maybe you’d like to be a ghost? A spirit wandering the ethereal plane, watching over humanity, helping people out when you can? Or maybe you have a darker vision. You want to F with things. You wouldn’t mind being a naughty ghost, a boogey man under the bed, or even some kind of demon. Happy cloud paradise? Or inbound ethereal storm from the nether world? French scholar and philosopher Jean-Paul Sartre once posited that since we don’t really know much about the why and how of our reality, we’re free to create our own. It’s a bit idealistic, but perhaps he’s got a point. Just make stuff up and roll with it. Since we might never know the truth, it might be fine just to imagine everything. Try it, and share your answers with the world. 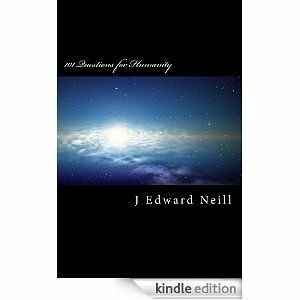 New Release – Kindle Version of 101 Questions for Humanity! Kindle version via Amazon – Only $2.99!! 101 Questions for Humanity – The supreme coffee table book for armchair philosophers. Designed to provoke, question, and challenge. Crack it open during big parties, small gatherings, or lonely nights on the couch. Once you taste one question, you’ll want to devour them all. Get your philosophy on. Right. Now.